We will calculate your allowance after we receive payroll reports from the last time you were paid. The final figures should not differ substantially from the estimates you received, but bear in mind the estimates are estimates, it will take 6-8 weeks to receive your first check, which will be retroactive to your date of retirement. Your allowance will be paid monthly on the last business day of the month. A complete list of the payroll dates can be found here. Many of our retirees look forward to continuing to work in some capacity after they retire. However, there are time and earnings limitations if you go back to work in the public sector. Each year, we will send you a 1099R form, which will tell you how much of your allowance is taxable. If you began work after 1988, all of your allowance is taxable. If you contributed money before 1988, a Portion of your contributions will be non-taxable over the first few years of your allowance. Once it has all been used, your entire allowance will be taxable. You will be required, by state law, to sign a form each calendar year stating that you are still living and entitled to continue receiving benefits. Please sign this form and return it to us ASAP. If we do not receive it by the deadline listed on the form, we are required to stop your allowance. Also, make sure that you notify us of any change of address, change in marital status, or change in beneficiaries. The Retirement Board holds meetings monthly, usually on the last Wednesday of the month. 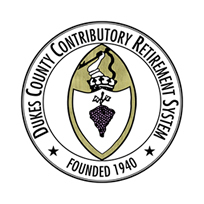 The meetings are open to the public, and any retirement concern can be brought to the Board. The meeting notices and agenda are published on this website. In the spring of each year, the Board usually considers a cost-of-living increase for retirees, which in recent years has been an increase of 3% on the first $14,000 of your allowance. This allows for a maximum of $420 a year.